I must report on the movie theater I've been frequenting before we get started. The word seems to have spread and my favorite low key theater has become quite popular. Remember....Tuesday nights = BYOB (bring your own bowl) for free popcorn. Well, it's drawing quite the crowd and some interesting bowls, too. For a while, movie goers had no discretion at all and would bring in plastic shopping bags to fill up. Seriously? Pay the $5 and hold onto your dignity, people. Finally, the theater wised up and insisted customers bring in actual bowls (or similar hard plastic like containers). Good move. I've been waiting for someone take his hat off and tell them to fill it up. Since then, I've witnessed a faux wood ice bucket from the 1970's and a crock pot bowl. Not the cooker part with the plug hanging down.....but nearly as ridiculous. Seeing what people are bringing in to fill has rivaled some of the movies I've seen in regards to entertainment factor alone. I might just skip the movie one day and hang out in the lobby. OK, review time. No judgment on the movies I see. Remember, I have no standards. I paid to see The Orphan not too long ago. 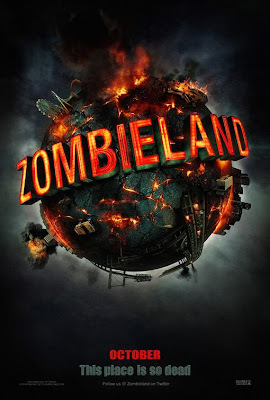 Zombieland - Bad. Love Woody Harrelson. The movie was weak. And, pointless. I disagree with the critics. And, by "critics", I mean http://www.rottentomatoes.com/. 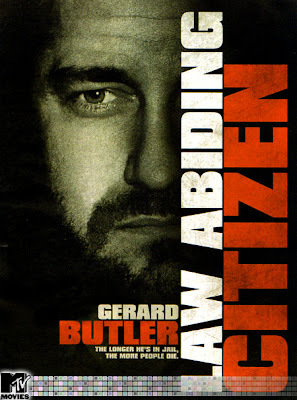 Law Abiding Citizen - I don't fawn all over Gerard Butler like most women. It was nice to see him in this role because it differed from the dreamy persona he's taken on in so many others. The movie had good meaning behind it.....a man takes on the judicial system and punishes many innocent people for the lack of sentence imposed on the murderers of his slain family. Lots of gore, though. 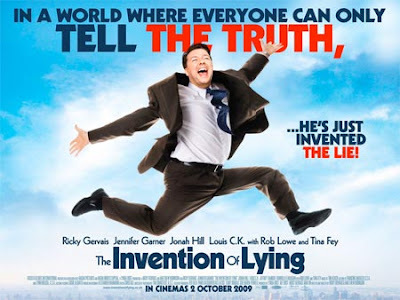 The Invention of Lying - Has anyone seen this? I was thoroughly confused. Not by the story line, but by the amount of boom mics I saw. Over a dozen.....hanging from the top of the screen.....it became hard to focus on the movie. Otherwise, the plot was interesting, but it failed on many levels to come together. Amelia - Not good. These are the kind of movies I love.....historical recreation.....typically emotion-filled and moving. It wasn't successful on any front. 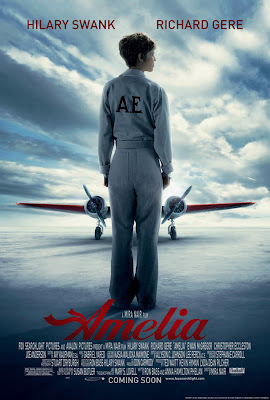 I thought it also portrayed Amelia as quite selfish and single minded. 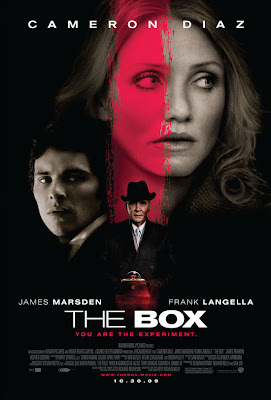 The Box - LOVED it. A simple plot......1970's.....an American couple in financial distress is given a choice. A box contains a single button. If pushed, the couple receives a million dollars.....but someone, somewhere will die. 24 hours to decide. A great lesson on choices and consequences. Weird and dark and filled with suspense. Stanley Kubrick-esque.......artsy and cool. I liked it more than the critics did. Recommend. The things that people will do just because something is free amazes me. Is your first can't wait for movie, The Men Who Stare At Goats a documentary on the Texas A&M Core? Totally agree, Monica! I could not stop bobbing my head and tapping my foot to the music, it was so amazing! Heather - I go once a week, if not more. It's my "escape".....usually on Tuesdays when movies are $5 with free popcorn to keep it cost effective. I LOVE going.....I go by myself......it's 2 hours to myself when no one needs a thing from me. I actually prefer to go alone now......it's therapeutic! Loved the Titanic joke! Please say that WAS a joke! Love that you go to the movies so you can review them for us. I don't go enough but always keep in mind what you've said! And, The Orphan, really?!?! I had to turn the channel when the preview would come on tv! Freaky!! I have no desire to see any of those except, The Box. I am glad to hear that you liked it. I wasn't sure about seeing the MJ movie...but I've heard it is awesome. My mom saw the Stare at Goat movie..said it was good. Can't wait to see Precious. a) How do you have time to go to the movies with 3 kids?!?!?! I have one kid and haven't seen a movie since Marley and Me when I was 7 months pregnant and bawled my eyes out! b) I've never heard of half these movies. Am I way behind the times??? c)I'd like you to post a picture of the bowl you take to the movies for your popcorn. d) No, Austin doesn't read my blog...he doesn't know how to read, but I like to think he does. And so does he, for that matter. ha! Sara - I am a movie addict. My husband watches the kids so I can go. And, yes, I will post a pic of my "bowl" on my next review post. Totally OK if you haven't heard of all of these.....when you're a movie nerd, you hear of them all. Sad news. I never see movies. Ever. I used to like them, but Mr. Mack has severe ADHD and can't sit through the movies so my choice is go alone or not go. I don't go, but I would love to see Michael Jackson and New Moon. I love more crock pot bowl with the plug. Where is this theater?! I've NEVER heard of such a ludicrous idea. Plastic bags? Crock pot bowls? Weirddddd. I want to see The Box! The others, eh. Love that you do this to escape. I might have to try it sometime. Might not. I do love Gerard Butler so I look forward to seeing him in the flick but I am glad you loved The Box because I can't wait for that.